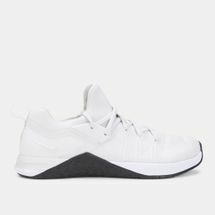 Featuring incredibly strong, ultra-light strength fibres to provide maximum support wherever needed, these shoes are also precision-engineered, stitch by stitch to create targeted zones of strength and support for adaptive performance. 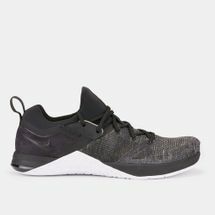 With the Flyknit technology, these Nike shoes also get a boost through their incredibly light, multiple stitched panels with ultra-light yarn that immensely helps to reduce the weight of the shoe. Shop online with Sun & Sand Sports now and have these Flyknit shoes delivered to your doorstep in Riyadh, Jeddah or anywhere else in KSA. 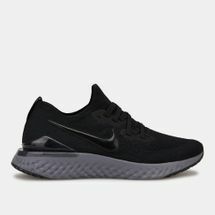 Always ahead of the pack, Nike has pioneered in innovative athletic wear, and with its revolutionary Flyknit technology it has taken one giant leap forward. Nike Flyknit utilises a weave made of extremely high strength fibers to create superior support wherever required by an athlete. Intelligently engineered with every stitch, Nike Flyknit builds targeted zones of stretch and support that contour and move with the athlete’s foot. 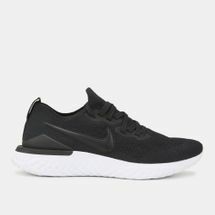 By substituting multiple stitched or glued panels with a lightweight yarn, the Nike shoes are made lighter. 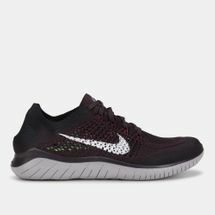 This enables the Flyknit shoes to provide lightweight support and performance. Flyknit shoes do not just amplify your performance but also guard you equally. 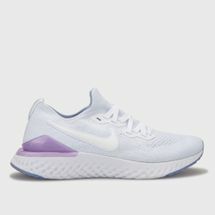 Targeted areas of heat-fused TPU yarns are connected to create a water-protective shield in the shoe. While they help protect you, they also help conserve our environment. By cutting down on wastage through the use of Flyknit technology, millions of pounds of waste are prevented from making it to a landfill. 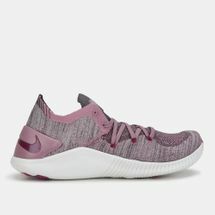 Lace up lightweight comfortable tech that’s adaptive, supportive and protective by checking out the latest range of Nike Flyknit shoes for women and men online at Sun & Sand Sports and have your order delivered to your doorstep in Riyadh, Jeddah and anywhere else in Saudi Arabia, KSA.